The summer is quickly approaching and we've got big plans for Old School RuneScape. Deadman mode season 2, Last Man Standing, the Wintertodt and lots, lots more will be on the way over the course of the next few months. Let's take a look at some of the details of what we have planned. Our first big update of the summer will be the Catacombs of Kourend - a vast set of catacombs found underneath Zeah, filled with all kinds of creatures you might be interested in killing. If you would like to read about the catacombs in full detail, check out the developer blog for more information. 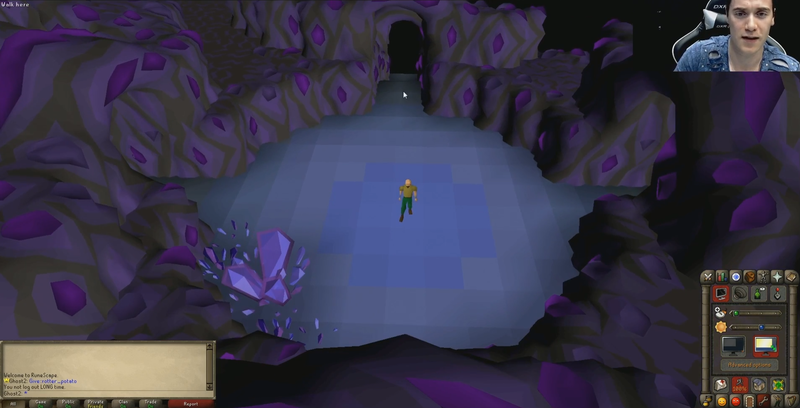 To see a preview of the environment for the Catacombs of Kourend, click here to see Mod Ghost's tour of what has been made so far. The end of Deadman season 1 is approaching and we are getting ready to launch season 2 on June 25th. We've looked at what you had to say about last season and will be implementing a number of changes for the next. 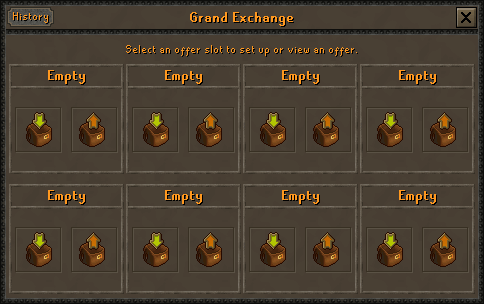 One of the biggest changes we are making is the introduction of the Grand Exchange. Season 2 of Deadman Mode will be more about building up your account and killing other players, and less about standing around looking for people to trade. The Grand Exchange has been a highly requested update for Deadman Mode since the original release back in October last year. We are interested to see how it goes and how the game mode is impacted by such a big change. Depending on the success of the Grand Exchange in seasonal Deadman Mode, we may also offer it as an addition to the permanent Deadman world. 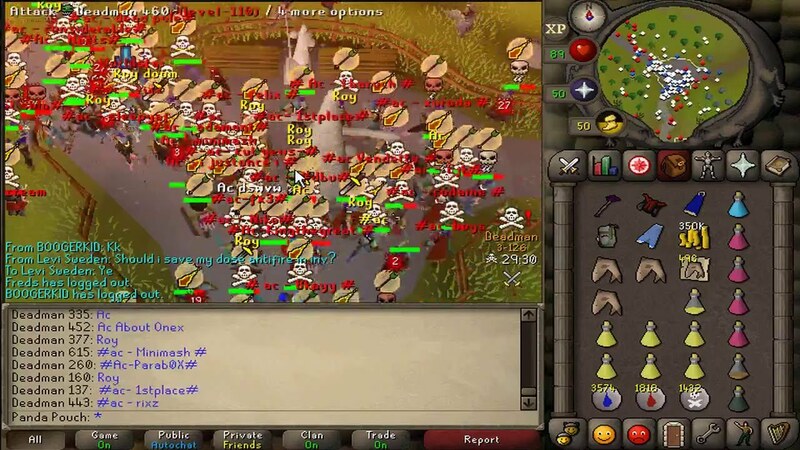 In the early days of Deadman Mode we saw players using their game knowledge, creativity and skill in order to avoid death. Over time, players got wise to the fact you can use noted food on bank booths, un-noting it and leaving you able to tank for a potentially endless amount of time. This caused more and more people to use this method above all others and took a way a lot of the intensity of skulling. For Deadman season 2 we are removing the ability to un-note items by using them on bank booths and chests. This will get rid of these unlimited food tanking methods and will ensure that Deadman Mode rewards players who think ahead. For Deadman Mode season 2 we are going to be changing PJing mechanics for player-vs-player combat. We will be changing PJing so it works the same way it does in PvP worlds. Our aim with this change is to make life easier for solo PKers and to reduce the impact that teams are able to have in single combat areas. Having multiple people attack a single target will be much, much harder with the new PJ timer in place. Alongside this change to combat we will be improving the content we have in place to prevent boxing. Since we implemented some anti-boxing changes late last year we have seen the impact it has had. We now know how much further we can push it and what changes we need to make to improve the system. Taking place on June 25th, the Deadman Mode tournament will take the top 2,000 players from Deadman Mode season 1 and chuck them into their own world. Over the course of a week they will build up their accounts, culminating in one massive brawl to decide who takes home $10,000! If you wish to take part in the Deadman Mode tournament you must be in the top 2,000 players on the Deadman Mode season 1 highscores by midday BST on Wednesday 15th June. Since the first Deadman Mode tournament we've been able to make a number of changes to the deadly fog to improve the experience for those participating and those spectating in the final hour. The fog will start out faster but will get slower towards the end. This means that it will quickly push people into a smaller area, slowing down to provide them with enough time to fight. We want more focus on player-vs-player combat encouraged by the fog and less focus on deaths to the fog. We'll also be leaving an area which never sees the full force of the fog. This means that the last few players will definitely have to fight it out to decide on a winner of the $10,000. The fog will also deal damage slightly faster than it did in the previous tournament. This will prevent eating at the correct time being a game-winning tactic. 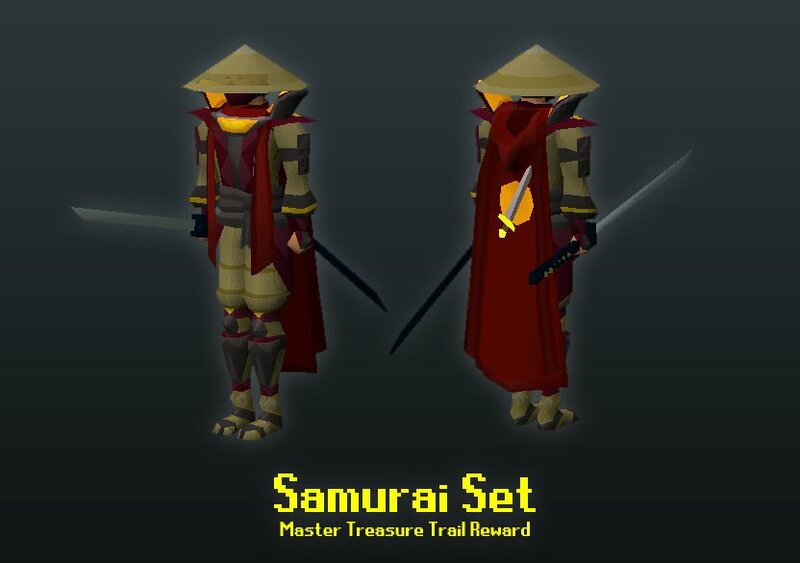 The treasure trail expansion polled a few weeks ago is now being developed and will be making its way into Old School RuneScape this summer! Introducing a brand new tier of clue scroll which will introduce new challenging puzzles and valuable rewards, as well as new clues and rewards for other tiers of clue scrolls, this expansion is sure to bring new life to treasure trails for many Old School players. Keep an eye out for further information on the master tier clue scroll expansion. As we get further into development we will be showing off more and more of the brand new rewards you'll be able to get your hands on. The concept of Last Man Standing is a simple one: 25 players are placed on an island with maxed stats and no gear at all. From there, they must search the island for gear and supplies, kill anyone who stands in their way and be the last man standing. As time passes, fog engulfs the island. Throughout the game the size of the playable map slowly gets smaller and smaller until the remaining space is just a few squares. There is no escaping the other people you are trapped on the island with. It is kill or be killed. Having passed the poll, Last Man Standing is on the way to Old School. This summer you will be able to test your skill against 24 other players and see who walks away victorious. We will continue to update you on the progress of the minigame as we get further into development, so watch out for more details as they arise. If you'd like more information on Last Man Standing, please read our developer blog on the minigame. The Wintertodt is an unknown entity that brings unfathomable cold to the abandoned and desolate reaches of Zeah. "No one knows what it really is, but centuries ago it came out of the northern wastes and terrorised the city." You do not fight it with your weapons, you fight it with your skills. Use your Firemaking, Cooking and other skills to help aid in the fight against the Wintertodt. 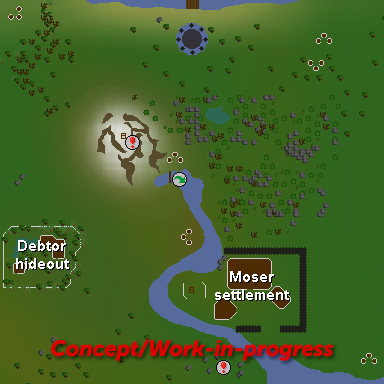 The Wintertodt will bring a new place to use and train your skills. Firemaking will be a necessity, helping keep you and those who join you in the fight warm enough to stay alive. Other skills, such as Fishing and Cooking, will provide you with food to sustain your defences. As we get closer to the development and release of the Wintertodt we will be able to provide you with more specifics on the boss and will detail the rewards and benefits of taking part in the defence of Great Kourend. 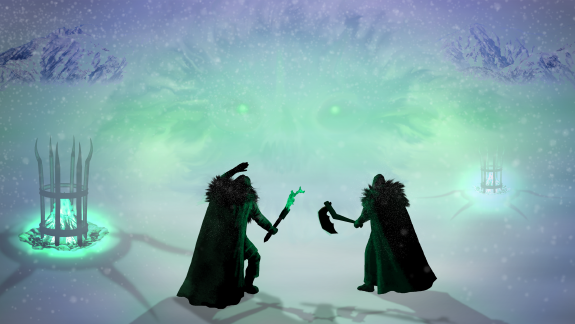 If you would like to hear more about the Wintertodt, check out our RuneFest 2015 talk. Various quality of life polls, containing anything and everything the community would like to see. 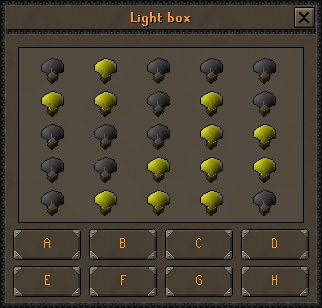 A full priority poll to help determine the path of Old School. These polls will be spread out throughout the summer, the first of which will be the PvP focused poll. If you have suggestions for content you would like to see end up in a poll, make sure to let us know! As always, we'll be working on a lot of other things around the updates mentioned above. Work has already started on raids and is coming along nicely, and we have a lot of plans for polls over the next few months. We're interested to see what you're excited for this summer and are keen to hear what you have to say. Loving the new additions to Zeah, the new catacombs should bring more attention to the island. Also can't wait for Last Man Standing, great new updates to look forward to! One question, will Last Man Standing be a mini-game within OSRS with its own world, or will it have its own separate server? need more details for the deadman tournament does it start on the 25th or end on the 25th? I have a few unanswered questions about the tournament. What is the start date and time of the tournament? Is it on the Monday the 20th? Is this the only blog post about the tournament and seasonal? Not a separate one like you said you would earlier? Will the gas be easier to see for the players playing so they don't run into the thick of it?